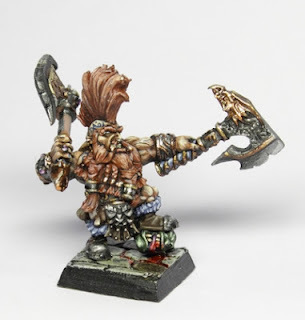 Heyhey, here's a new thread by me in which I'll put up minis I do for Frostgrave, Mordheim and other Fantasy skirmish-y stuffs. But first and foremost of course Frostgrave is the Fantasy skirmish game du jour, so here we go. Since then I added a few mercenaries and such. Now it's time for their annual reinforcements! They're Don Pedro and Sorceress by Brother Vinni Minis. Can't and won't say too much about them at this point because I've got a review planned. 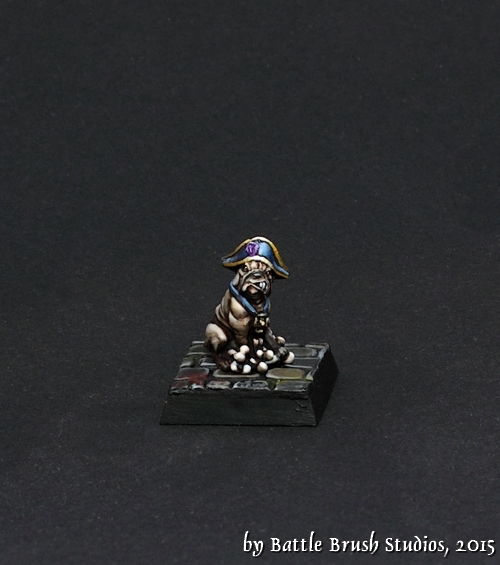 What I CAN say something about is that these are going to be added to the crew for reasons of Frostgrave. There's a mercenary wizard in the group already who will act as wizard in Frostgrave, but you also need (well, you don't really need him/her, but it's a very, very handy addition) and apprentice. 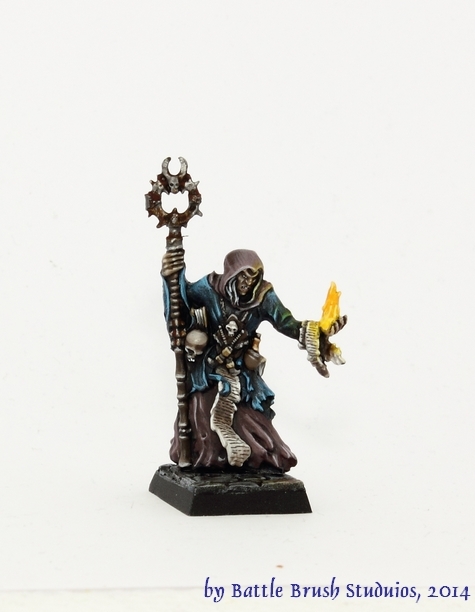 The thing about Frostgrave is that it's set up as a campaign game, but the only character out of your crew of up to 10 models who actually 'advances' in power and such is the wizard (and along with him/her the appentice). 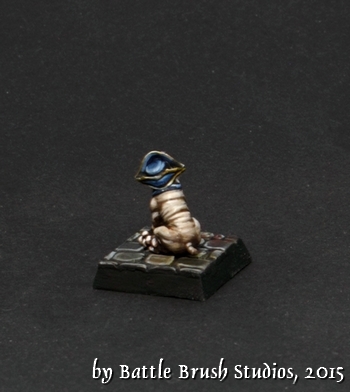 The rest of the warbands are just cannon fodder really. Which is an idea that puts me off a little. It just feels wrong, putting one dude over the others just because he can cast spells. And I'm pretty sure that one could construct parallels to weird ideologies around that ("Fudge everybody else, as long as they're useful to me for personal profit and 'advance'!"). Yeah, not a fan of that. But I'm rambling. Not a huge wizard fan. Self-entitled, power-hungry bad news, the whole lot of them! On the other hand I'm sure it's a very fun game I definately intend to play. I mean I've got the rulebook, I've got a bunch of Empire, Chaos and Dark Elves (and soon-ish a bunch more Dwarves), time to give that thing a go! If you want to know more about Frostgrave and aren't sick of it due to all the marketing and general buzz about it, as always the first and foremost adress for solid info on wargaming related things is the Meeples and Miniatures Podcast. The latest episode has a very in-depth review of the game. 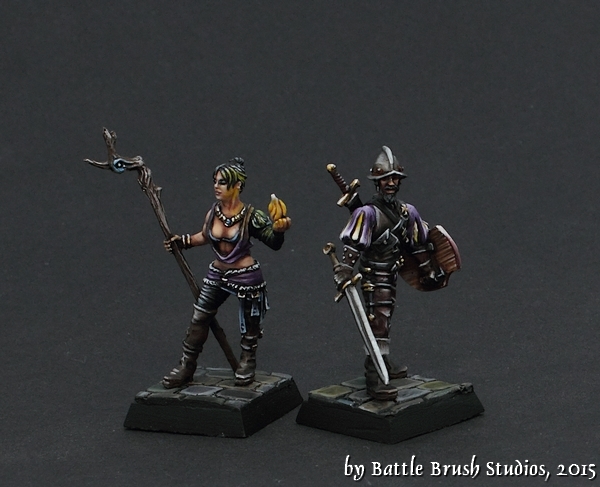 Either way, have fun, hope you like the WIP shot, hope to finish these minis soon and get the review article up! ;) C&C welcome! Well done. Whatever I type here would be an understatement of ernormous proportions, so I won't even bother expressing my appreciation for this warband. :D Thanks, very much appreciated. It was a really nice project. Shame I didn't make prettier pictures then. Awesome work! Love how colourful but subdued everything is. @ntaw : Thanks! 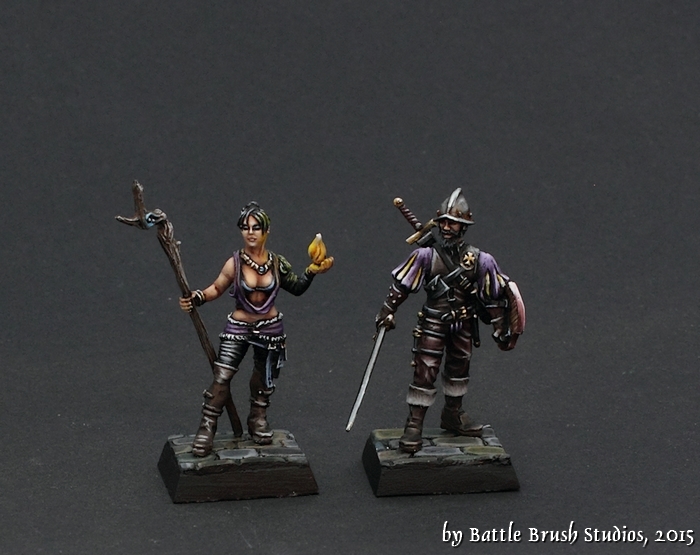 Yeah, it's a very nifty colour scheme and it's fun going back to that particular style of painting I used on this crew. He's from that Toughest Girls in the Galaxy range which bugs everybody on pretty much a daily basis with their latest (and seemingly never-ending) Kickstarter projects. Hope you like him! Hope you like the review and find it interesting! Hello Sigur I've been a long time fan of you and this warband in particular for years! 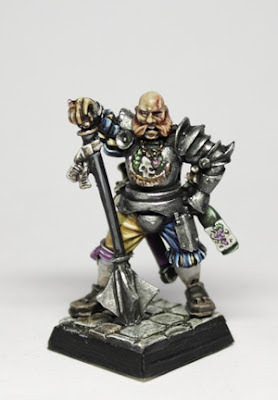 Recently I've started my own mercenary warband for a mordheim campaign with my friends and my band has a color scheme tributed to you. 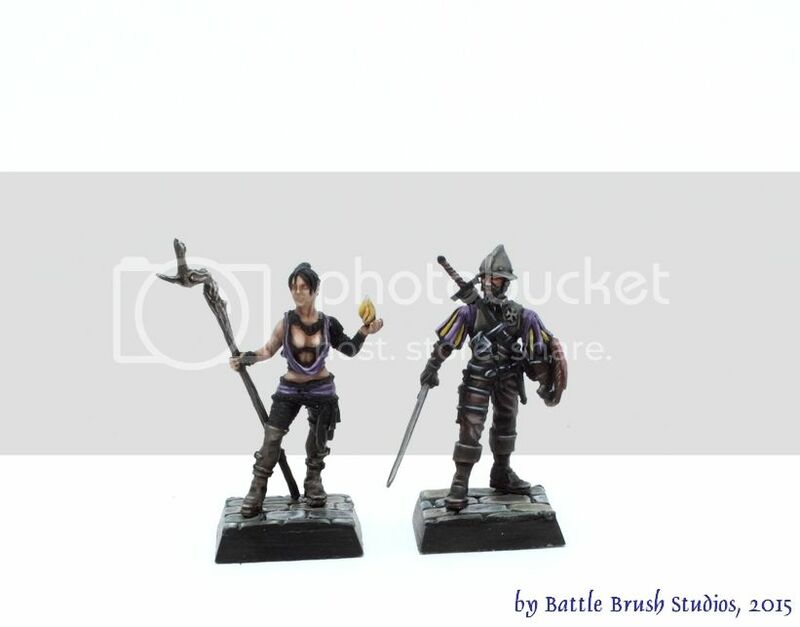 I was just wondering if you could tell me what paints(list) you used in order for me to achieve a similar look to your warband on my models?